Peachtree City, GA - Former NBA star and University of Georgia All-time leading scorer and assist-man Litterial Green directed a "Practice with the Pros" youth basketball clinic where over 50 years of NBA playing experience were teaching and coaching local youngsters the value of hard work and building strong character. Youth from Fayette County and the surrounding areas were absolutely thrilled to receive hands-on instruction from arguably the greatest collation of clinic counselors ever assembled. "I was hoping to get a couple of autographs at the clinic. I can"t believe that Gerald Wilkins and Nick Anderson actually coached me in my scrimmages" says 14-year old Mike Rosen from Fayetteville, GA.
"Practice with the Pros" is the brainchild of Fayette county resident and former NBA player, Litterial Green, who wanted to become imbedded in his community and make a difference in the lives of the local youth. His clinic far exceeded the expectations and those who participated couldn't have been more excited. "I was looking to give back to the sport that gave me so much and share with the youth something that I couldn't do growing up; attending a basketball clinic and being able to interact with real NBA players", said Green. At least 3 other "Practice with the Pros" clinics are planned for the Greater Atlanta metro area this summer and as many as 10 in other states throughout the Southeast region. 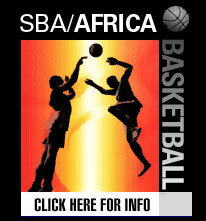 With the New Business Athlete (NBA) organization, that Litterial co-founded with former NBA player, Jerrod Mustaf, more players are joining and looking to bring the "Practice with the Pros" clinic to their hometowns. The Practice with the Pros Basketball Clinic was sponsored by: Comcast Sports, Peachtree City Recreation Dept., and the Street Basketball Association, LLC.